This is the concept mecha for the comic "Heavy Chrome," the second of the test pages I'm working on. 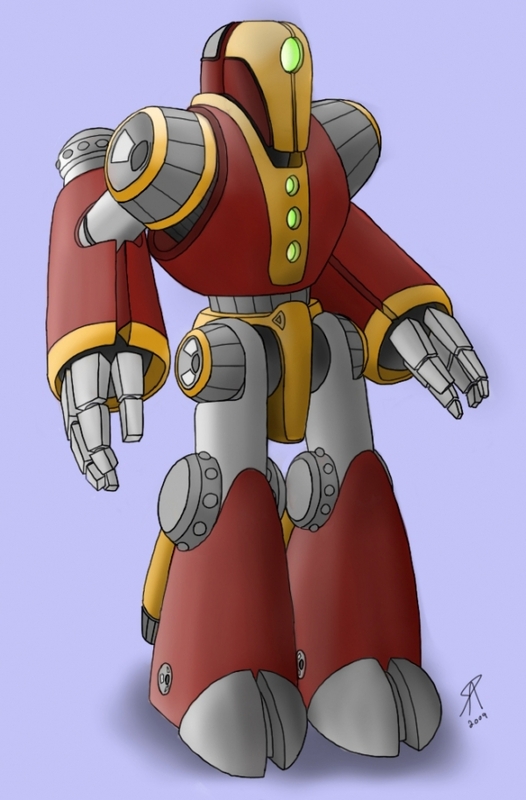 This is the main mecha unit. I was attempting to achieve a balance between an old school superhero mecha and something new and futuristic. I think this is successful.